Deciding to become a rescue diver could be one of the most rewarding choices you could make. The Rescue Diver course is designed to challenge students while preparing them to handle almost any emergency situation they may encounter. 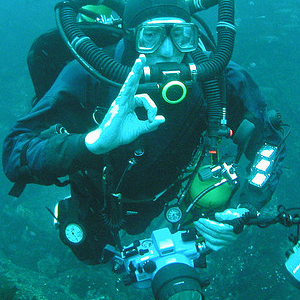 Including dive accident scenarios, locating missing divers and rescue operations, the Rescue Diver training will be challenging but worthwhile. But what are the main components of the rescue diver course? In order to get started with your training to be a Rescue Diver, you can begin with the knowledge portion of the training through use of our online portion of your course. With e-Learning, you can learn at your own pace and on your own schedule. After that, you will enter into the practical phase of the rescue training. You will learn how to effectively perform a andlsquo;self rescue,’ if you encounter a situation where no help is available and you have to figure out how to get yourself out of danger. You will also be taught how to recognize signs of stress in other divers, and how to alleviate that stress. You will learn how to rescue divers who may be panicking at the time you arrive; you will also learn how to rescue divers who are unconscious or otherwise unresponsive. One of the more exciting aspects of the training is learning how to properly perform rescue breathing. Although a portion of the training is done on the surface, there will also be a strong dive component, so you will add more dives to your logbook during this advanced training. Be certified in CPR and basic first aid. Once you’ve completed your Rescue Diver training, you will be able to confidently handle many emergency situations and assist other divers in need of rescue. You’ve moved beyond recreational diving into the world of rescue diving, where your newly-gained skills may actually save another person’s life. It’s a challenging course, but in the end, it will be well worth your effort.